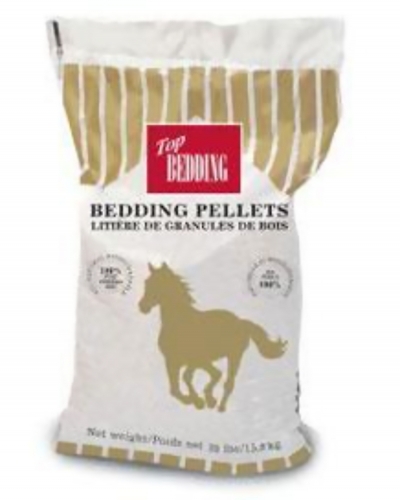 Premium Wood Pellet Horse Bedding. 100% natural soft wood pellets from quality soft wood. 100% biodegradable for easier disposal. Fresh unsoiled pellets drop through fork, reducing cleanup time. This is a GREAT alternative to standard cat litters. *Top Bedding version is only stocked at the Owego Store. Stall Dry Absorbent and Deodorizer is a safe and effective product for odor control and liquid waste management of horse stalls and other livestock habitats. 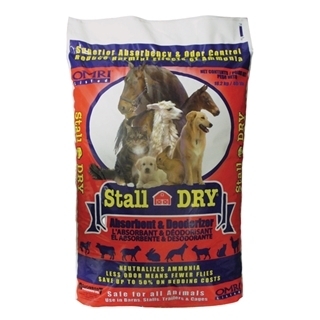 Stall Dry contains granular pieces of food grade diatomaceous earth and clay with the ability to neutralize ammonia, and absorb odors and moisture. 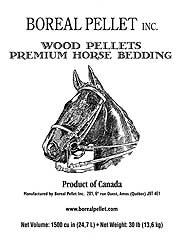 Wood Pellet Premium Horse Bedding. 100% natural soft wood pellets from quality soft wood. 100% biodegradable for easier disposal. Fresh unsoiled pellets drop through fork, reducing cleanup time. *Boreal specific litter pellets are only stocked at the Endicott Agway. The accumulation of ammonia in animal stalls has been proven to stress the upper respiratory airways of animals placing them at risk to pneumonia and heaves (an asthma-like lung condition). Foals and other baby animals are especially vulnerable. Sweet PDZ absorbs ammonia thus, lessens the danger. Sweet PDZ is all natural, non-toxic, and non-hazardous. It is safe to handle and will to burn as does hydrated lime. Animals need not be removed from stalls, pens, or cages when applying Sweet PDZ. This product works very effectively in cat boxes, dog kennels, rabbit hutches, chicken coops, ratite runs and all small animal habitats. 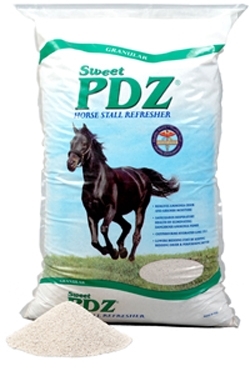 Sweet PDZ works equally well with shavings, straw, sawdust and other types of bedding. It can be used equally effective on dirt, wood, concentrate and rubber mats, making this product ideal to use in animal trailers. Unlike lime, Sweet PDZ is pH neutral and can be used as mulch and fertilizer in planting areas.